I have the great honour of hosting the 100th session. That's 100 months of Beer Blogging Fridays. What is The Session though? 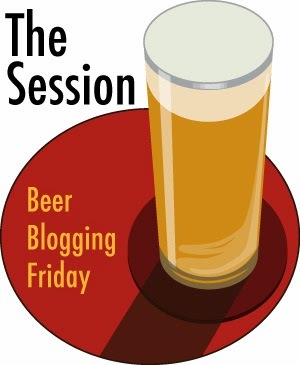 Most readers will know but if you are just joining us for the first time, it's quite simply this: On the first Friday of every month, a beer blog hosts a session. There's an announcement like this one which gives a topic and perhaps some guidelines for bloggers to ignore. It was thought up by Stan Hieronymus at Appellation Beer in 2007. The list of session articles both past and present are kept by Jay Brooks at the Brookston Beer Bulletin. If you want to participate in The Session, you just view the announcement, write your article based on the topic and let the author know so they can include you in the round up. The round up is a sort of readers digest version with snippets of everyone's article. It's the best part of the session for many people. If you want to host, just look at the list and find a free spot. Then email Jay or Stan and they will put you down for it. The details to do so are found on that list page. That bit out of the way, I wanted to do an interesting topic for the 100th Session and looking back over the other 99 topics, none have touched on lost or almost lost beer styles. There are many of them that have started to come back in to fashion since in the last 10 years due to the rise of craft beer around the world. If you have a local beer style that died out and is starting to appear again then please let the world know. Not everyone will so just write about any that you have experienced. Some of the recent style resurrections I have come across in Ireland are Kentucky Common, Grodziskie, Gose and some others. Perhaps it's a beer you have only come across in homebrew circles and is not even made commercially. There are no restrictions other than the beer being an obscure style you don't find in very many places. The format, I leave up to individuals. It could be a historical analysis or just a simple beer review. Here's my piece. I chose raw ale as my "style". Here's mine. See you later! Been on the run... One more entry please.